Shalom and greetings from Jerusalem! Thank you for partnering with Hope for Israel, especially as we were able to sponsor a large project that blessed an Israeli community this past month! Hope for Israel has had a decade-long relationship with a special community situated in southern Israel. This community is in direct firing range from Gaza, and has suffered tremendously from rocket attacks, fire terrorism that burned their wheat fields, and tunnels from where Islamic militants actually infiltrated the community. Over the years, the members of this community have felt abandoned by the Israeli government, especially since effective policy has not been implemented to protect them from further attacks from Gaza. This is especially true of the most recent round of attacks, which came in November 2018. We were set to evacuate the entire community in November when a sudden cease-fire was implemented. Knowing this community was in desperate need of a real respite from the ever-present threat of terror, we decided to sponsor an all-inclusive weekend for them in January. My family and I were blessed to join them for this weekend; the amount of love and gratitude that poured out from them was overwhelming! To see their children freely enjoying without fear of the next air raid siren was incredibly meaningful for us all. They were so thankful for this incredible gift for their families, and I want to pass that along to YOU! 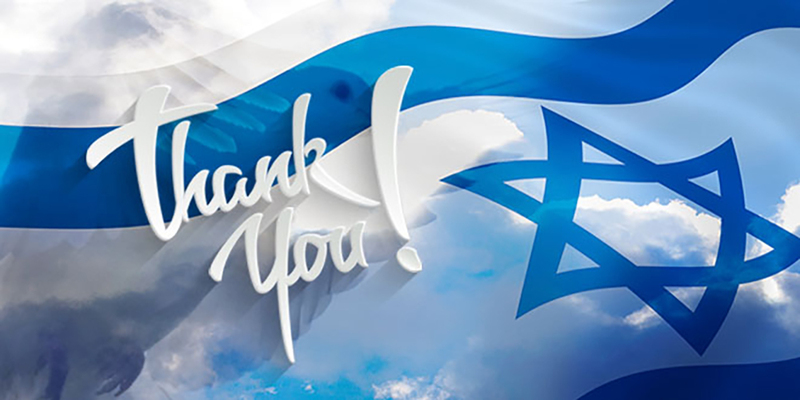 Thank you for entrusting your love offering to Hope for Israel as we continue to bless the people of Israel. We look forward to expanding this work in the year ahead, and are grateful for your partnership!